Remember the tale of the frog. If you put him into hot water, he will jump right out of it. If you put him in cold water and start heating it up bit by bit, he will stay until he dies. The same principle is being applied to private savers by governments and international organizations such as the International Monetary Fund (IMF). The IMF is planning large-scale expropriation from savers, but doesn’t want to throw the people into the hot water straight away. However, this paper is laying the intellectual groundwork for the expropriation of private savings when a national government cannot borrow at market rates anymore, just like it happened to Greece, Ireland, and Portugal. 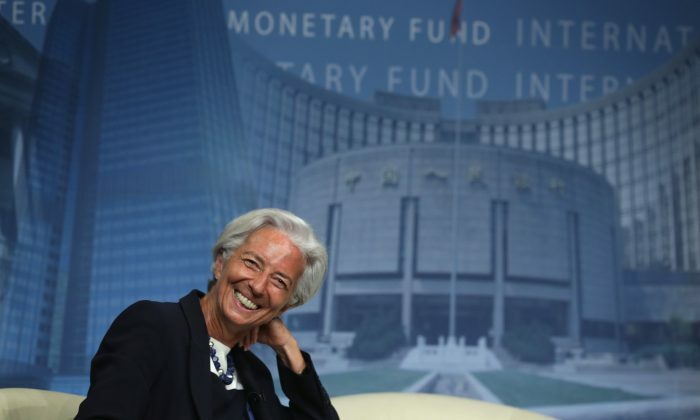 “Specifically, in circumstances where a member has lost market access and debt is considered sustainable, but not with high probability, the [IMF] would be able to provide exceptional access on the basis of a debt operation that involves an extension of maturities (normally without any reduction of principal or interest),” the report states. Translated, this means the IMF would only help a distressed country (like Greece for example) if it restructures its debt, that is defaulting on parts of it. Now this isn’t necessarily bad, as most highly indebted countries need a debt restructuring as they will not be able to pay back their debts at face value and in real terms. Examples like Japan come to mind, but the United States is no exception here. But it should be clear who is going to pay for it. In most countries, the largest holders of government bonds are private citizens. Either directly, in their 401(k)s, or indirectly, through insurance companies, mutual funds, and pension funds. In the paragraph cited above, the IMF first suggests an extension of maturities, which means you will continue to collect interest, but you just won’t be able to redeem your debt obligation as soon as you had wished for. The good news: The plan so far does not envision a direct haircut on the principal or a reduction in the interest rate under “normal” circumstances. But what are normal circumstances? Next thing you know, you will be liable for a 20 percent haircut and your already low interest payment is suspended for the next five years. Considering this is the plan, don’t you think government bonds of highly indebted countries (yes, the United States is a highly indebted country with a debt to GDP ratio of more than 100 percent) should trade at slightly higher rates to compensate for this added risk? But maybe this strategy is reserved for the Greeces and Cypruses of the world. More civilized countries like the United States and Japan will just take the old fashioned approach. Default by inflation and they don’t even need an IMF paper for this.